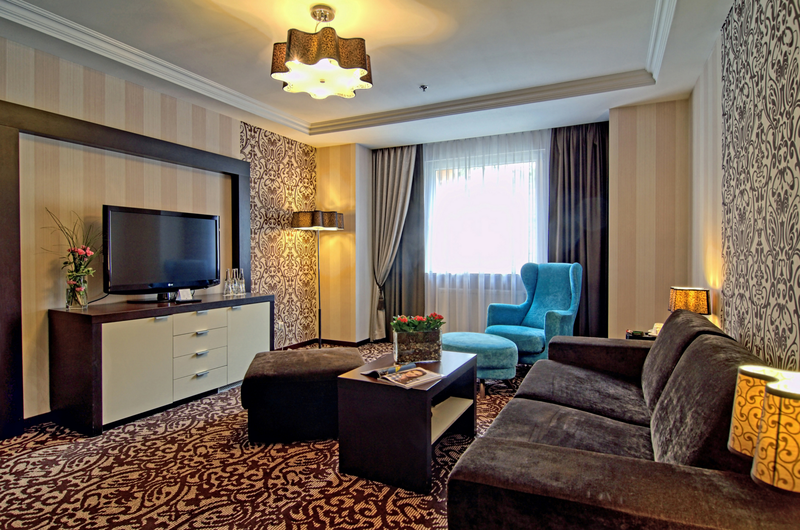 Junior Suite rooms mean comfort and elegant interior. 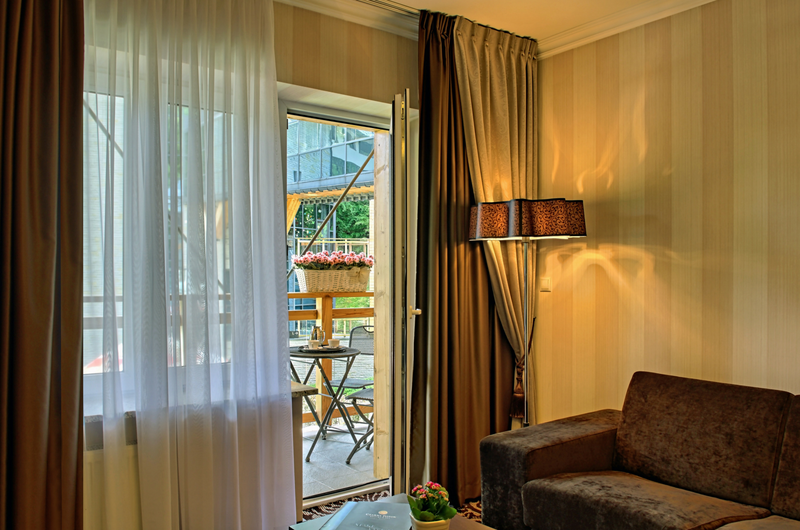 Majority of them has been equipped with a terrace, which lets you admire beautiful nature surrounding the Czarny Potok hotel – the hotel building is surrounded by beautiful mountains of Beskid Sądecki as well as by a park and a stream. 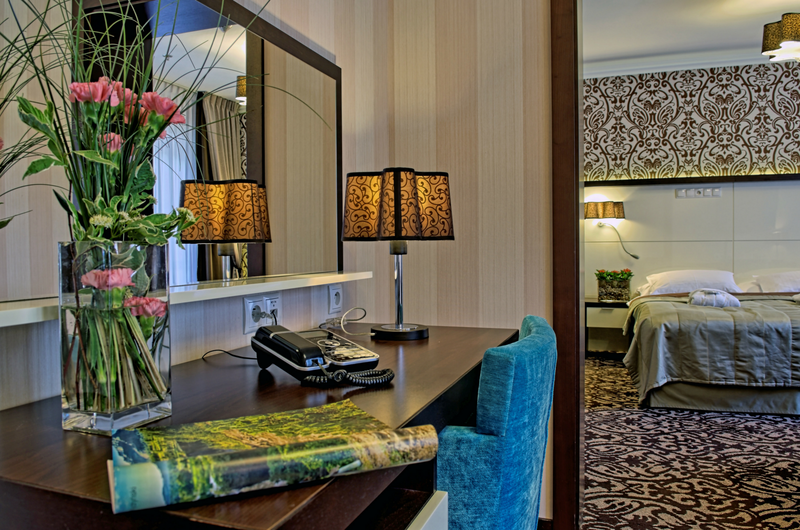 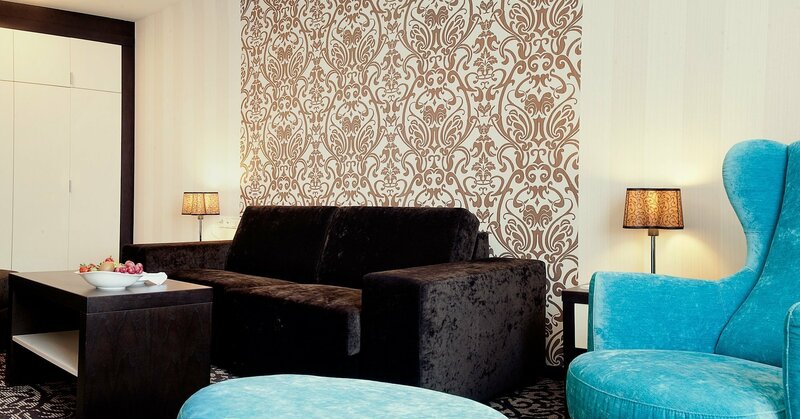 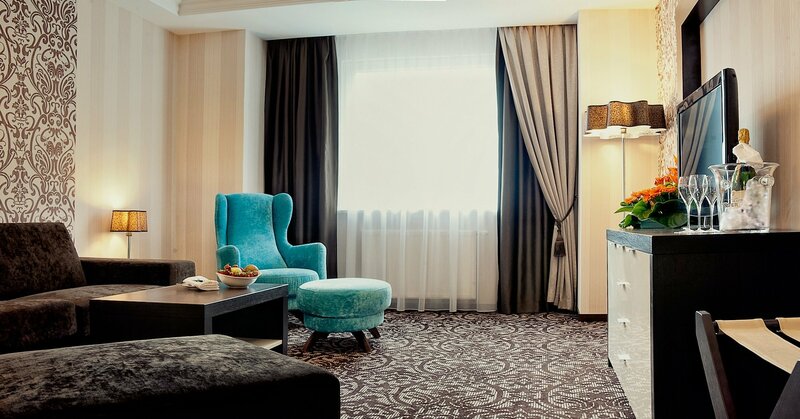 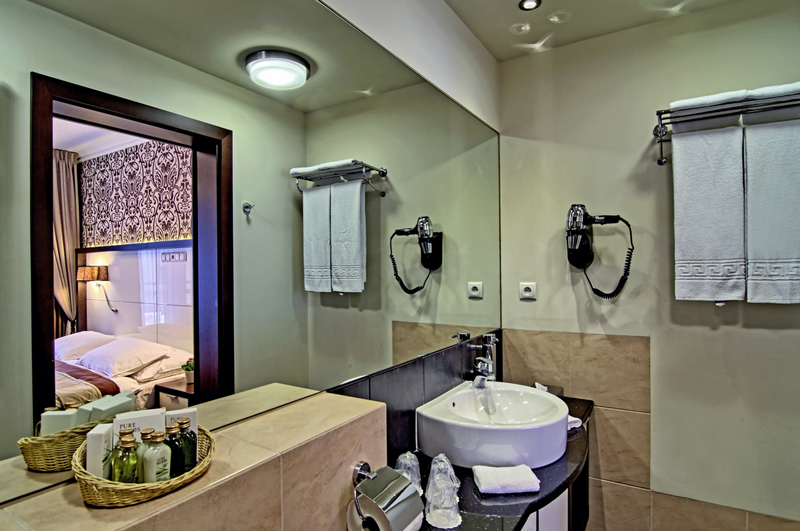 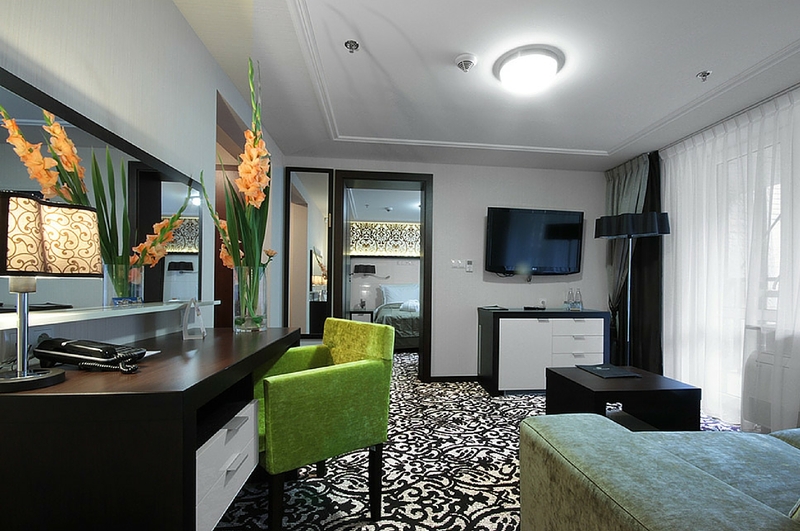 Junior Suite rooms at the Czarny Potok hotel have been divided into two parts – a cosy bedroom with an exceptionally comfortable bed as well as daytime part, which, besides being a relaxation zone, can become a place of work if necessary – wireless access to the Internet will make it much easier!